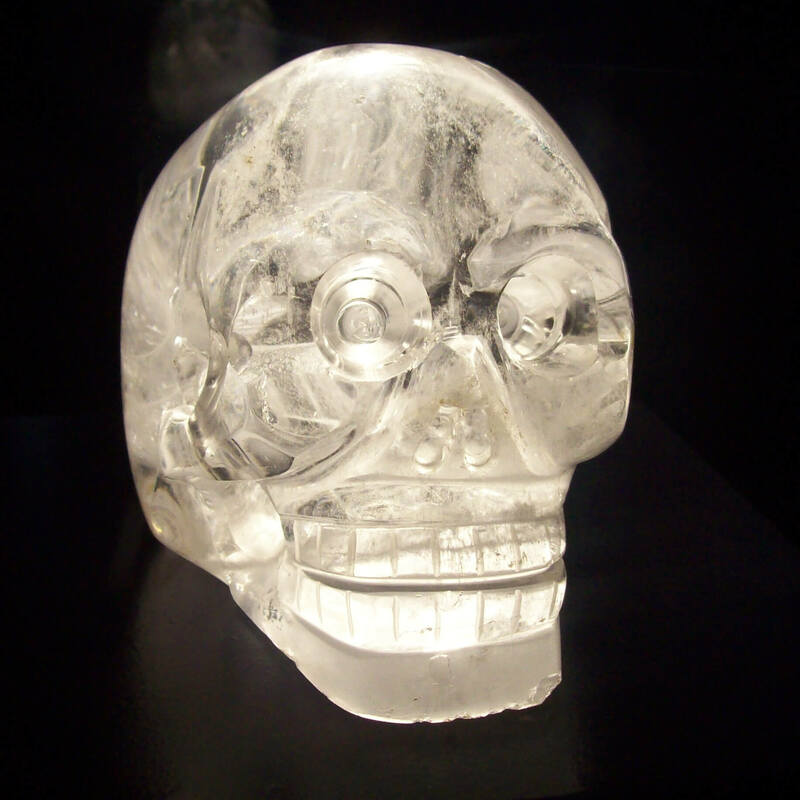 The crystal skulls are believed to be of Aztec origins. Anna claimed hers was at least as old as the Mayan culture, possibly even older and of extraterrestrial origin. The Aztec and Mayan cultures were advanced in many ways and they developed in a relatively short period of time. They contemplated the night sky and had a vast cosmic mythology. They had complex calendars and calculated the movement of stars and planets. They predicted astronomical events with accuracy. The skull also served as a central theme in their sacred calendars. According to some researchers, the Mayans claimed their ancestors came from the stars. The many questions regarding the crystal skull needed answers. In order to do so, Anna’s crystal skull was first examined in the 1970’s by art restorer Frank Dorland. Its age could not be determined through carbon dating since it is made from quartz and thus contains no carbon. Dorland could not find traces of tell-tale scratch marks rexulting from the use of metal tools. Quartz has a hardness of 7 on the Mohs Scale, while diamond has a 10. But the quartz could have not been carved with primitive tools even if they had diamond tips since that would have caused it to shatter. Dorland said that it could have been carved into its rough shape and then sanded down and polished using abrasive material. However, this process could have taken up to 300 years to achieve the skull’s level of detail. Hewlett-Packard also examined it and determined that the skull and its detachable lower jaw were fashioned from the same left-handed growing quartz block. It seems that more questions were raised than answered. The skull proved challenging to conventional scientific opinion since it gave up no secrets regarding its origin, age and role. The scientists at Hewlett-Packard would not accept an alternative explanation. An interesting fact is the choice of material since quartz has some interesting electrical properties, namely piezoelectricity. This property allows it to accumulate a certain electric charge when placed under mechanical stress. Does this add to the already mysterious nature of the skull or not? A crystal skull of unknown age and origin that also has the ability to hold electrical energy and oscillate at a constant and precise frequency? Now that’s truly something. As a side note, quartz is used in computer chips due to its piezoelectric properties. 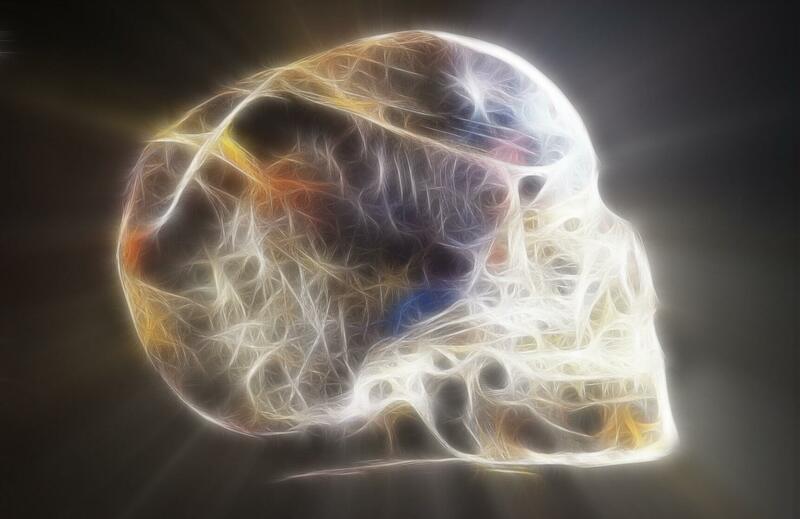 Could the crystal skulls be information storage systems or even cosmic telephones? Remember, the Native American legend said that the crystal skulls were crafted by beings that are not humans like us. A forensic facial reconstruction technique was applied on a replica of the skull and the face that resulted was that of a Caucasian female. Skeptics have considered this evidence to the skull being a fake crafted in Europe in the 20th Century. But at the same time we could take into account the things we’ve discussed int his article. Many cultures throughout the world have a central pin in their legends, mythology and religion and that pin is a white-skinned, white-bearded civilizing god with essentially Caucasian features. It could be a coincidence or a far-fetched assumption but empires have been built and destroyed on less. Is this glowing image proof scientists have found alien DNA?